Belmont Mitsubishi Service and Repair - 5 Star Auto Service Inc. 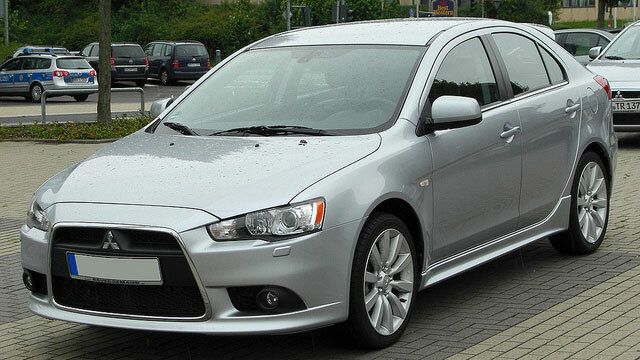 Does your Mitsubishi need service? You're in luck because the team of auto mechanics at 5 Star Auto Service in Belmont are ready and willing to get and keep your Mitsubishi running in tip-top shape. And we back all auto repair performed at our facility with a warranty for your peace of mind. At 5 Star Auto Service in Belmont, we don’t discriminate against makes of vehicles. Our auto mechanics boast experience and education servicing Japanese, Domestic, and European vehicles, including your Mitsubishi. Our technicians continue to receive training to stay on the cutting-edge of the automotive repair industry. “As a new resident, I went to my AAA source to find 5 Star Auto Service of Belmont. I was not disappointed! All the gentlemen I met were professional, friendly and very helpful. The services were fast and the estimate of the problem was spot on. No surprises when it came to the charges either. These guys get an A+!” -- Kathy F.
For an auto repair shop that is the embodiment of the American Dream, hard work and determination, turn to 5 Star Auto Service. Bring your vehicle to our auto technicians and we will go that extra mile to properly service and repair your car, even performing a safety check and offering you shuttle service within the vicinity of Belmont. Schedule an appointment online for Mitsubishi service, or stop by our shop at 1444 El Camino Real, Belmont, CA 94002.